Fear not King Conquer fans, the day is slowly approaching. The long awaited “1776” will be released through Mediaskare Records on June 11 after much speculation. The heavy band has been featured a lot at The Circle Pit and for good reason. 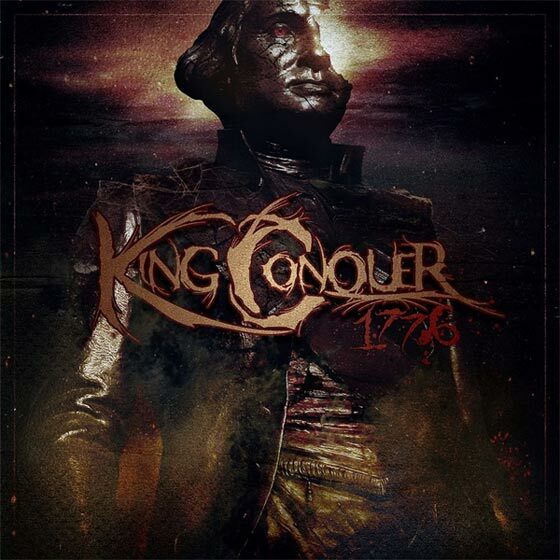 King Conquer brings an earthquake inducing heavy that blows most of their Deathcore competition away. Singles “A Day Late and A Dollar Short” and “Novus Ordo Seclorum” off the upcoming album have both been well received. They have garnered over 10,000 views for each single and prove why they are continually pushing for the spotlight. Preorders for “1776” have been put up here on the band’s merch site. There are bundles of goodies for any avid King Conquer lover. So go ahead, rejoice in the fact there’s only a few more months to go before this epic album.